WWE Hall of Famer is a group of select individuals and teams who have made an impact in WWE over the years. It is a member's only club. Every year during WrestleMania weekend, there is an induction ceremony where a few acts enter this prestigious cadre. It is the culmination of a lot of hard work during a career. But what's better than being inducted once? Being inducted twice! As of right now, only one man has entered the WWE Hall of Fame two times - Ric Flair. He was inducted individually in 2008, a day before his emotional retirement match against Shawn Michaels, and was inducted alongside his Four Horsemen teammates in 2012. This year, two more men are set to become multi-time Hall of Famers. Shawn Michaels, inducted in 2011, will take the stage once more, as part of D-Generation X. Booker T will also receive this once unfathomable honor, as he enters with Stevie Ray as Harlem Heat. There is no doubt that there are going to be a few more two-time WWE Hall of Famers in the next few years, but who will they be? Here are four superstars who will wear the prestigious ring once again. Triple H is being inducted into the Hall of Fame this year as part of DX, alongside his buddies. Some say that he chose to enter the Hall himself, but the likely truth may bring the Game in a more positive light. It is possible that Triple H insisted on being inducted with his friends, instead of on his own, currently. He is in charge of talent relations in WWE and is the head of NXT. The future of this company rides on Triple H and we will be hearing more of him behind the scenes in WWE. In a similar way to Vince McMahon, Hunter might have wanted to hold off on his individual induction until after he retires. 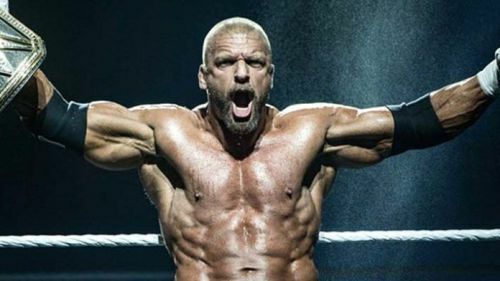 While this would be a very long time away, there is no doubt that Triple H is Hall of Fame-worthy. He has won 14 world championships and another few singles titles. He has been the biggest star in the company for many many years and helped bring WWE from the Attitude Era to the Ruthless Aggression Era.